William Morrow Paperbacks, 9780061240287, 432pp. 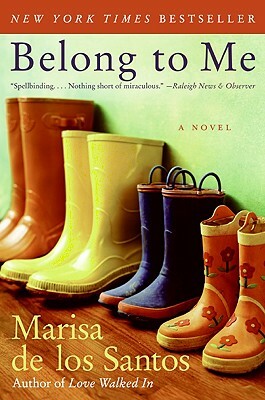 The sensational New York Times bestseller from Marisa de los Santos, Belong to Me is a gift for readers, an enchanting, luminous novel about the accidents, both big and small, that affect our choice of friend, lover, and spouse. A story centered around three very different suburban neighbors and what it truly means to “belong” to someone, this eye-opening, unforgettable book is the perfect book club selection—beautifully written, smart and sophisticated women’s fiction that invites discussion as it touches the heart—and the ideal companion to de los Santos’s previous blockbuster, Love Walked In. Each character faces a different challenge: what are these challenges and how do they handle them? Who has changed the most by the end of the novel? When we meet Cornelia's neighbor, Piper, she is commenting on Cornelia's lawn and home, suggesting changes. Does she have a right to criticize Piper's lawn and home? How did this make you feel? What does it mean to be a good neighbor? Piper confesses that she finds security through organizing, but when her best friend, Elizabeth becomes ill, this surprise rattles her carefully organized world. What does safety mean? What rituals, if any, do you have to create a feeling of safety? What is Dev's relationship with his mother like? Do you think mothers and sons have a different relationship than mothers and daughters or fathers and sons? Why or why not? What do Dev and Lake learn from each other? Part of the way into the story Dev embarks on a quest to find his father? What issues does he face? If you were Dev would you look for your father? Why or why not? Near the end of the novel Lake says that everything she's done has been for Dev. Is this acceptable? Is it ok to lie to protect the people you love? Do you think Clare's and Dev's relationship is an accurate depiction of first love? How does their relationship differ from the other romantic relationships in the novel? What do you think will happen between them in the future? How would you describe Cornelia's childbirth experience? How does it lead her to make a decision that would change the lives of the people in her life? What does "family" mean and how is this explored in the novel? Is it possible for one person to belong to another? Cornelia compares life to the movies. What if any movie does the novel remind you of? Is there a movie(s) that you could compare to your life?